Lots of sash repair companies are very particular about the types of work they will and will not complete. Moreover, many of these entities are only capable of handling very minor jobs in-house. When you work with these companies, various portions of your repair or restoration project are likely to be outsourced. This is not true, however, with Mortice & Green. 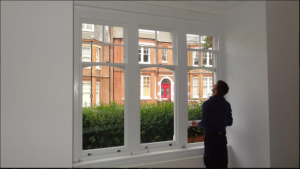 We repair any sash window in the greater London area and always with truly spectacular results. If asked to name the actual source of our superior workmanship and commitment to quality, we’d have to say that it’s simply the result of being passionate about what we do. We have an extensive amount of experience in this niche and we don’t just order and install windows, we build quality sashes from the ground up. In fact, working with sashes is absolutely all that we do and we are proud to be able to handle the entirety of all our jobs right in-house. Whether we’re working directly on your property or withing our fully-equipped workshop, just outside of London, we will give your job the full attention that it needs and deserves. This allows us to provide the highest level of quality control even as we offer some of the most competitive pricing within our niche. We go beyond simply dealing with sticking sashes and sashes that have broken cords. Of course, we definitely have a lot of experience in dealing with relatively minor issues like these, but we are also the company that you want to call when you’ve identified severe instances of wood rot, condensation at the interior of your windows, major draughts, and other issues. Our technicians will handle every window on an individual basis so that each repair is as cost-effective and efficient as it can possible be. Wood rot is an unfortunately common problem among dated sash windows. Rather than being attributed to any shortcomings within this actual type of window design, however, this is the result of insufficient maintenance and care. Largely compromised all natural wood, these windows have to be stained, treated and painted on a routine basis. This is the only way to keep the majority of these structures duly protected from the elements. When homeowners are lax in this particular area of property maintenance, their sashes can develop problems that quickly spiral out of control. Among some of the secondary issues that are likely to be present in severe instances of wood rot are mold and mildew. The good news is that our history in dealing with problems like these has allowed us to easily determine when certain aspects of these structures should and should not be kept. We have also developed a special technique throughout the years of carefully preserving the components that are salvageable, while rebuilding damaged areas entirely. This way, those who own historic homes can get results that are absolutely in line with the original designs of their abodes. This is often vital for preserving both the integrity and the authenticity of these units. When our work is done, you will not be able to tell that new windows have been put in at all. Our love of these products means that we are incredibly familiar with the different incarnations of sashes that were used throughout the ages. Best of all, we will carefully restore and preserve your original hardware so that your new sashes look just like the original ones did when the property was originally built. One of the best reasons for working with Mortice And Green is our longstanding commitment to standing behind the work we perform. This is especially beneficial when investing in double glazed sash designs. These windows possess all of the beauty and intrigue of more dated sash styles, while boasting modern efficiency. When systems like these fail, homeowners can have a hard time getting their original installers perform warranty repairs. This, however, is simply not true with us. We work hard to make sure that our sashes are always installed properly the first time. If any problems are ever reported, we’ll make a timely appointment to address these issues so that our clients are assured of getting lasting value from their investments. When it comes to addressing broken sash cords, we recommend that homeowners take care of these problems right away. Even though this may seem like a relatively minor problem, especially if a remaining cord is making it possible to continue using these structures, a broken sash cord can actually be a very dangerous issue indeed. You do not want this window to be in an opened positioned when the final cord gives way. If this happens, the heavy sash can come crashing down and it will surely smash anything that lies beneath it. We can provide timely and affordable solutions for repairing these counterbalanced systems. When we’re done, your windows will slide smoothly and seamlessly opened and closed and all household residents can continue enjoying the highest levels of safety and security. There are some window problems that can rear their heads even when all of the sash components are in place and appear to be working fine. For instance, you may be noticing a considerable rise in your energy spending, even though your life habits have not changed dramatically. This could be the case if your sashes are letting cold drafts blow in during the winter months, or if these structures are letting cool air seep out of the home when closed, and when your air conditioner is on. 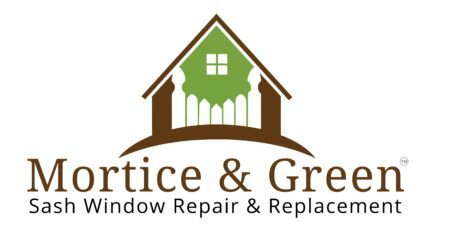 Mortice And Green is known for installing one of the most efficient draught proofing systems available. With this system in place, you won’t have to rely on your home heating and cooling equipment as much. This means that your HVAC system will suffer far less wear and tear and can even enjoy a significantly extended lifespan. Moreover, you will be able to pay a lot less each month when your energy bill arrives and can pride yourself in maintaining a very modest carbon footprint. In fact, our draught proofing system won’t just reduce your energy spending and use, it can also play a very important role in noise control by effectively muting noise pollution from the outside area. Best of all, this system will provide further benefits by blocking the ingress of airborne particles like dust, dirt and dander, so that household residents can breather a bit easier and enjoy a significantly higher indoor air quality. Sash Windows – A Guide for Home building and Renovating Sash Windows in London with Mortice and Green.